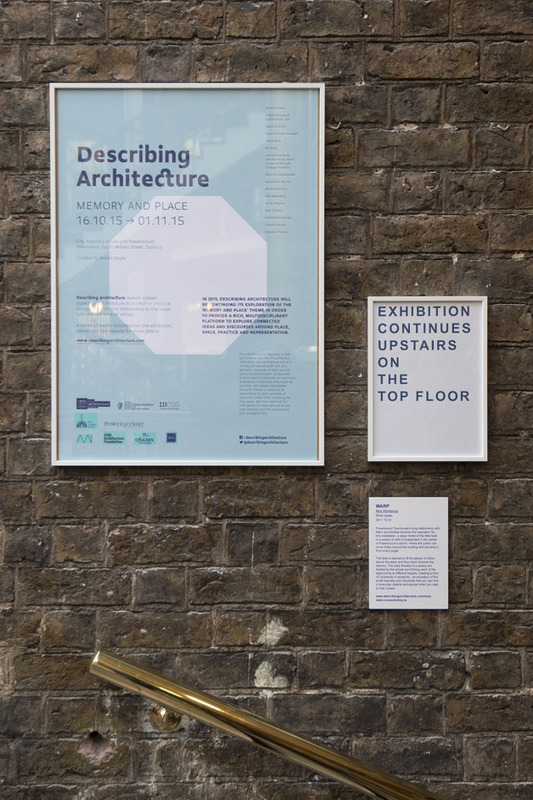 The 2015 exhibition took place across City Assembly House, the oldest purpose-built exhibition gallery in Britain and Ireland, and the adjacent Powerscourt Townhouse. 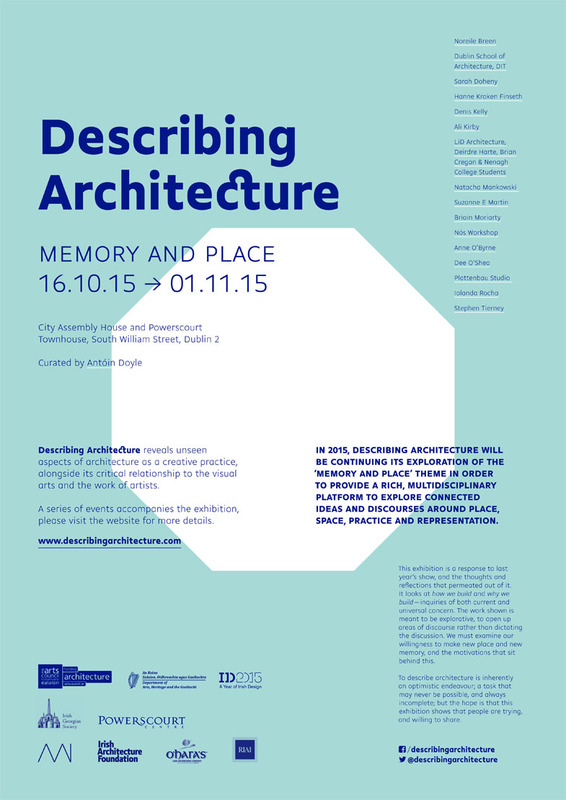 Both venues are of historical significance and remain vital parts of commercial and cultural activity in Dublin to this day. 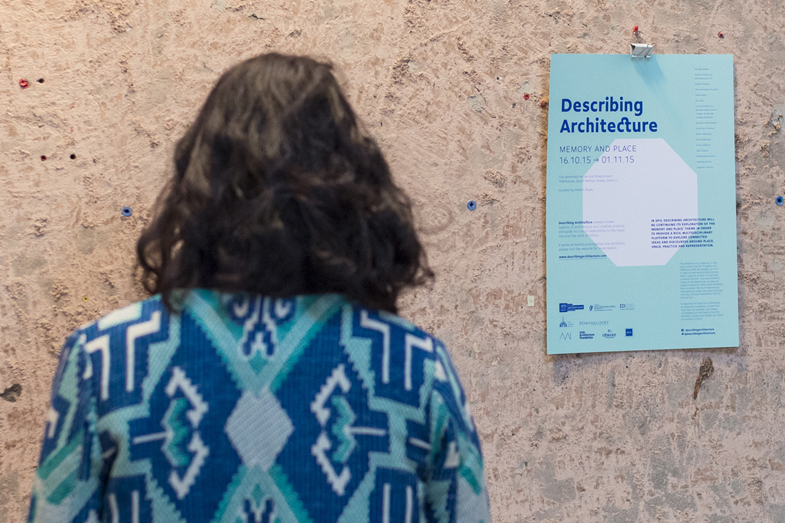 The exhibition wordmark speaks to both past and present by juxtaposing contemporary letter froms with an anachronistic ligature. 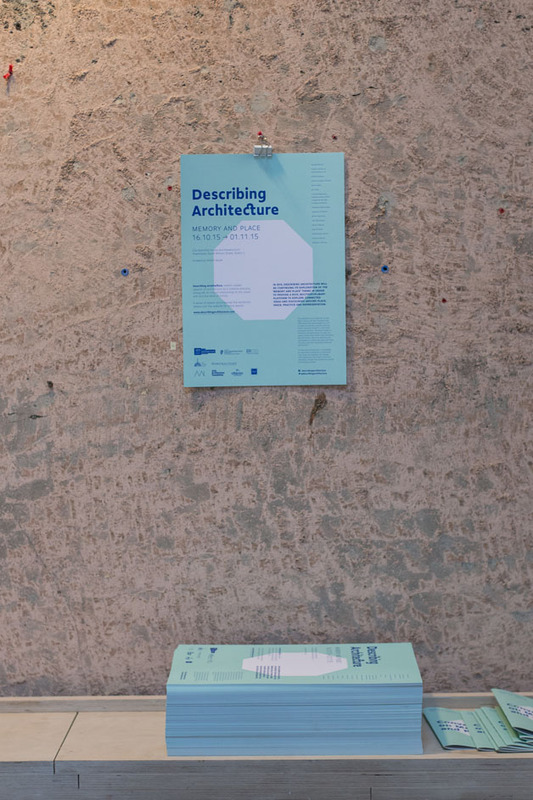 The distinctive floor plan of City Assembly House’s gallery space was referenced with octagonal motifs across printed material. 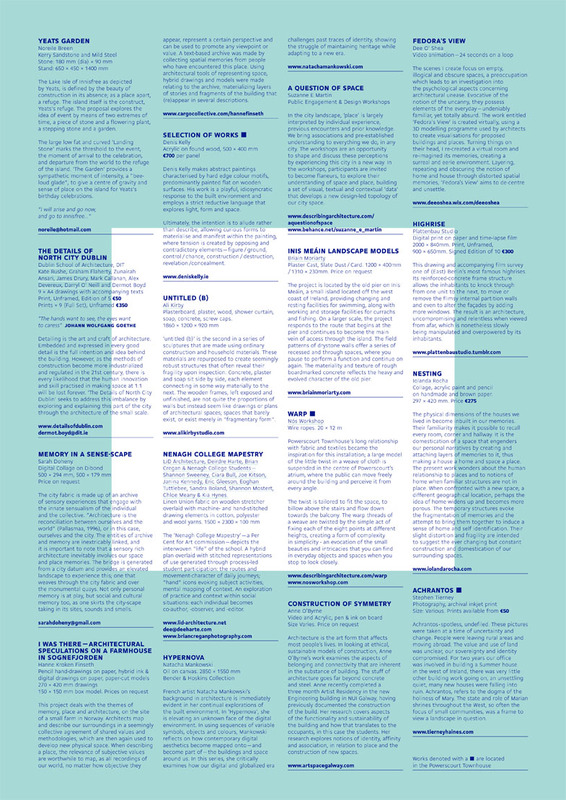 A double sided poster was produced, with exhibition details one side and a list of participants on the reverse. 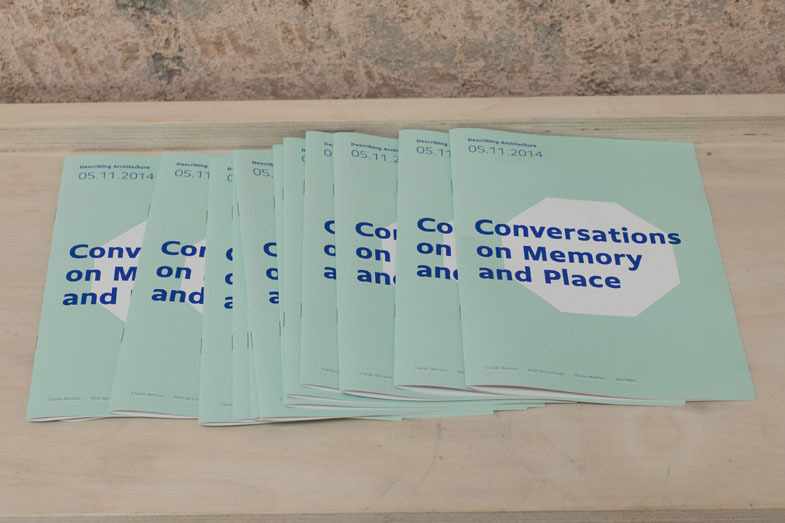 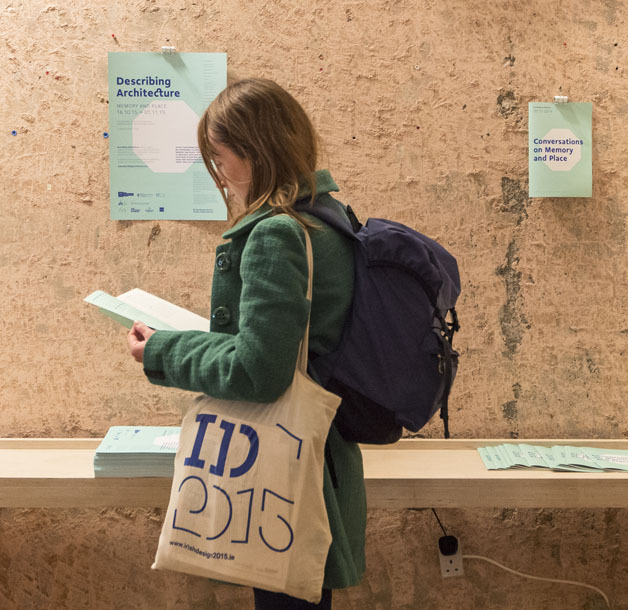 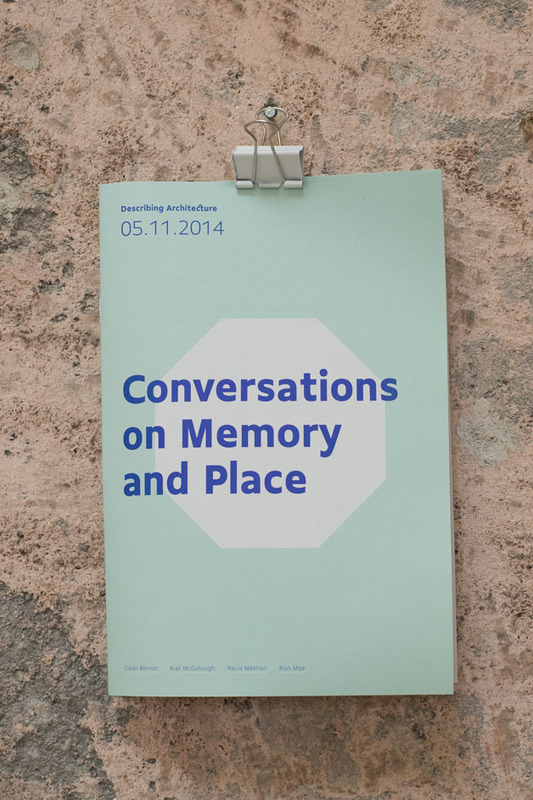 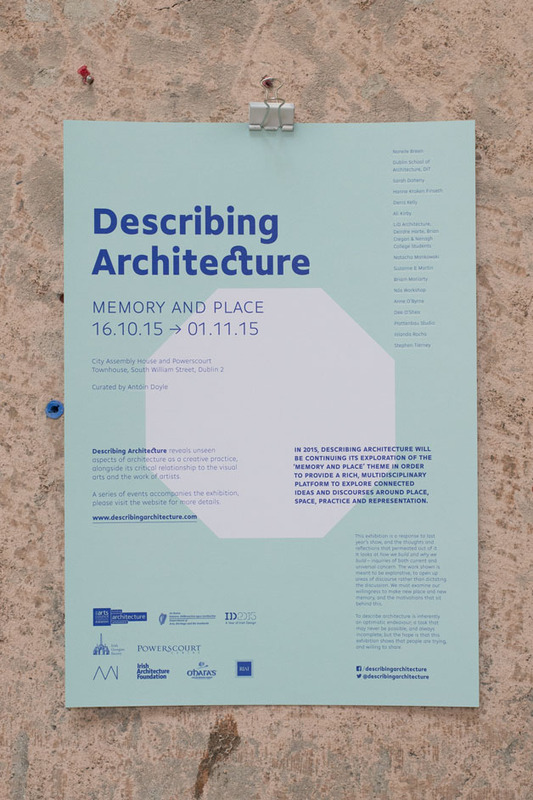 These were made freely available to visitors alongside a booklet, containing an edited transcript of a discussion between Ciarán Benson, Niall McCullough, Paula Meehan and Alan Mee, which took place during Describing Architecture in 2014.